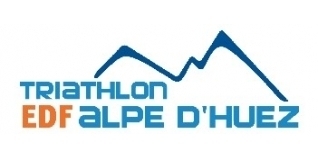 Scotland's Ritchie Nicholls has continued his transition to longer distance racing with a memorable win today at the Alpe d'Huez Long Course Triathlon. The tough French race comprises a 2.2km swim in the crystal clear (but usually chilly) Lac du Verney, a 115km bike ride over stunning scenery which takes in the Alpe du Grand Serre and Col d'Ornon before ending at the top of the iconic Alpe d'Huez climb before finishing with a 22km run at altitude on the roads and paths around the resort. Having been to the event in 2010 and 2011, it is definately 'bucket list' material - and has certainly one of the most incredible bike courses in the sport. Ritchie recently won Ironman 70.3 UK and finished second at Ironman 70.3 Haugesund (Norway) along with a fifth place at the ETU European Championships at Challenge Barcelona and so has been showing great ability over the longer distances. A fastest swim, second fastet bike and fastet run today brought him home in fine style to win by more than five minutes from France's 2005 Ironman France winner Herve Faure. Third placed Todd Skipworth has swapped Olympic rowing to show fine talent in triathlon, and he finished ahead of Stephen Bayliss in fourth place. Mary Beth-Ellis finished second in 2011 before winning last year and she retained her title with a whopping 21 minute buffer over Ireland's Eimear Mullan, with Anne Basso (FRA) in third.